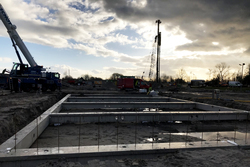 In Purmerend, we have started putting together pre-fab foundations produced in the BetonBouwService De Hoop factory in Zwijndrecht. 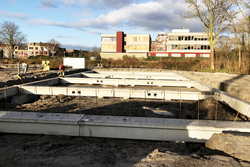 Phase 1 of the 'Klein Where’ residential development sees the creation of 58 homes, building of which was started at the end of 2017. 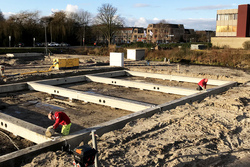 The foundations were installed by Vroom Betonbouw in two weeks. 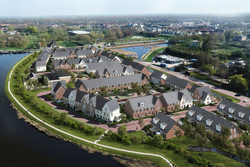 The development will ultimately have a total of 125 private dwellings with the same sort of look: back-to-back housing, terraced houses and traditional dyke houses, semi-detached housing and a detached house. 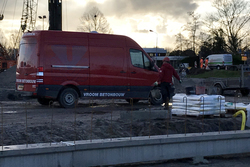 Contact Sandro Pronk. 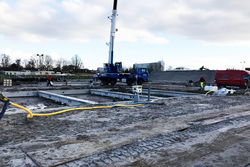 Dial +31(0)299 409 507 or send us an e-mail.